From strategic planning through flawless execution, today’s selling personnel have more to manage and more at stake than ever before. TPG’s Subject Matter Experts have worked at all levels of selling organizations in today’s top CPG companies. 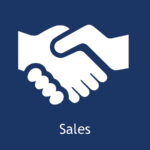 Our Sales courses are based on customer development techniques proven to drive success through hundreds of engagements. Each course provides hands on learning opportunities to enable measureable growth in both competencies and results.